Manchester United striker Romelu Lukaku claims he has a ‘perfect’ relationship with Jose Mourinho. The Portuguese manager has been criticized in recent past for his way of handling players, and his team selection for the FA Cup final earlier this month did not escape scrutiny. 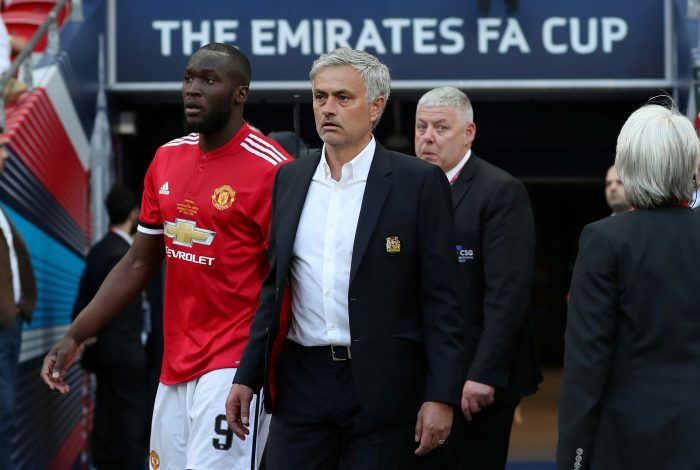 Mourinho decided not to start Belgian ace Romelu Lukaku for his only shot at a trophy, and later claimed that the striker himself did not want to start. United eventually lost, and a lot of the blame ultimately fell on his decision not to play Lukaku. However, the former Everton striker, currently with the Belgian national squad, has rebuffed all such claims in a recent interview with Sky Sports. “Of course, I was,” he said, when asked if he was prepared to start the final at Wembley. “But I didn’t look good in training at all. Lukaku did come off the bench, but could not change his side’s fate as they fell to a 1-0 defeat. The striker also spoke about him having a ‘perfect relationship’ with Mourinho, and that all rumours that say otherwise are false. “Everybody is thinking me and the manager has a big issue or something, but it’s not like that, I and the manager have a perfect relationship. We had a little chat after the game and everything is all clear,” he added. The 25-year old will be playing in his second World Cup, where Belgium are drawn with Tunisia, Panama, and England. And Lukaku believes that his side is one of the most talented in the competition. “I was always saying I want to go to the final and win the tournament because talent-wise I think we have one of the most talented teams,” he claimed.